Whether you are a long term sufferer of back pain and looking for relief, or you need to avoid developing symptoms of back pain, this is the perfect device for you. Acute back pain is usually a self-limiting problem which, if managed as it should be, should unravel spontaneously. One solution for adequate management is using a back support device like our back brace to help relieve the symptoms of lower back pain and allow the back to heal. New for 2016, the MEDiBrace has been designed to help manage lower back problems by supporting the lower lumbar region. There are many back braces on the market that purport to do the job, but few are MEDICALLY CERTIFIED to be as effective as the MEDiBrace. The unique double-adjustable feature of this system enables a surprising level of comfort and ‘dial-in’ support. Other brands are too heavy, don’t seem to be adjustable or don’t sit comfortably around the waist, but the MEDiBrace uses the lightweight but strong material Neoprene to wrap around the waist and provide enough flexibility to allow free range of movement at the same time as firmly giving support. The MEDiBrace enables activity at the gym or in sports like golf, squash or even dancing! Its slim fit makes it discreet under clothing all over the day. The fashionable MEDiBrace is also available in attractive colours and sizes. 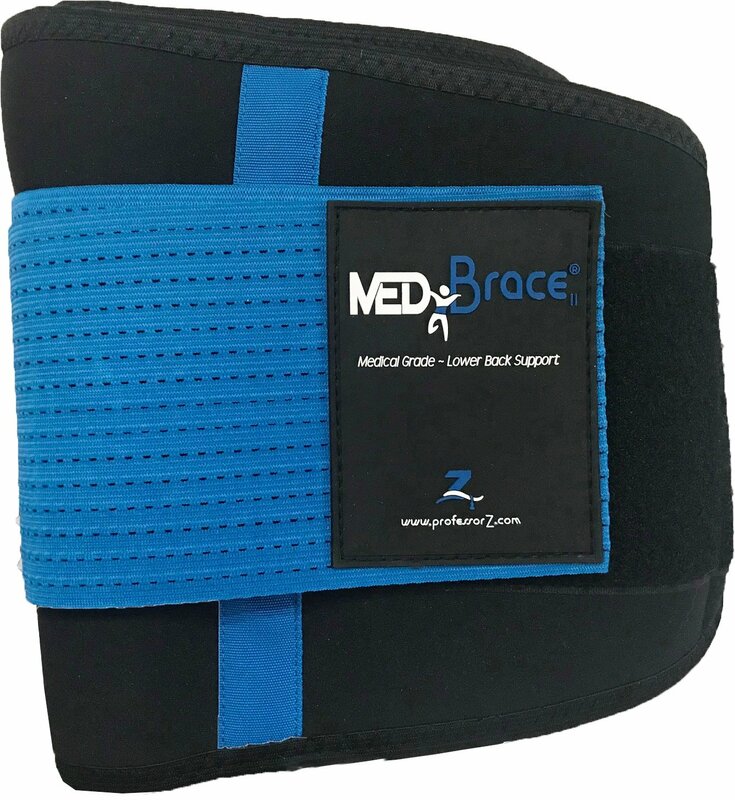 The MEDiBrace back support has assisted those with scoliosis, sciatica, hernia, slipped disc and osteoporosis. It can also be used as a preventative measure and helps to improve better spine posture and improve spinal alignment in men and women. We’re so confident this device will help to improve your suffering that we offer our rock solid MONEY BACK GUARANTEE if it doesn’t. ProfessorZ has helped thousands of victims get back on their feet to make their lives a little more bearable through our back support brace. Allow us to help you today!